Send an email to Artem Ostapenko Please fill in this quick form to contact our expert directly. 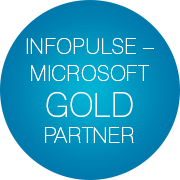 A long-time certified Microsoft solution provider and partner, Infopulse is proud to receive Microsoft Gold Cloud Platform Competency, and join Microsoft Cloud Solution Provider Program. For many years, Infopulse has been helping our clients integrate complex solutions, perform complex migrations and offered a solid technical support. With a focus on customer success, Infopulse strives to achieve new levels of serviceability, ensuring convenience and profitability of our clients. As Infopulse aims to facilitate our customers’ access to amplified Cloud Adoption Service and related Cloud offerings, the Gold Cloud Platform Competency status is an important milestone, as the company receives extra support and closer synergy with Microsoft. At the same time, Infopulse joins Microsoft Cloud Solution Provider (CSP) program, which enables the company to serve as a direct provider and supplier of complex Microsoft Cloud Solutions and services, such as Azure, Office 365, Dynamics 365, and Enterprise Mobility + Security (EMS). 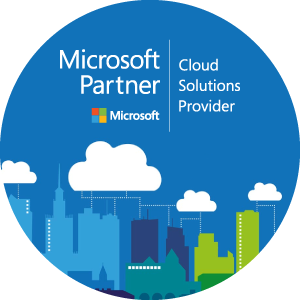 Being part of CSP program transforms the way our clients adopt and transition to Cloud, as Infopulse will serve as a single point of contact for all Microsoft-related services. As a part of the service contract, our clients are entitled to receive a top-level, timely and highly available technical support. As a reminder, earlier this year Infopulse received an official Microsoft Silver Cloud Platform Competency status and launched a Cloud Solution Service Line. 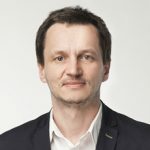 Infopulse, a part of Nordic IT group EVRY A/S, is an international vendor of services in the areas of Software R&D, Application Management, IT Operations, and Information Security to SMEs and Fortune 100 companies across the globe. As a part of a long-term partnership with Microsoft, Infopulse delivers a whole range of cloud-based transformation services and solutions.